9 Week Old Baby Sleep Success - Is It Possible? 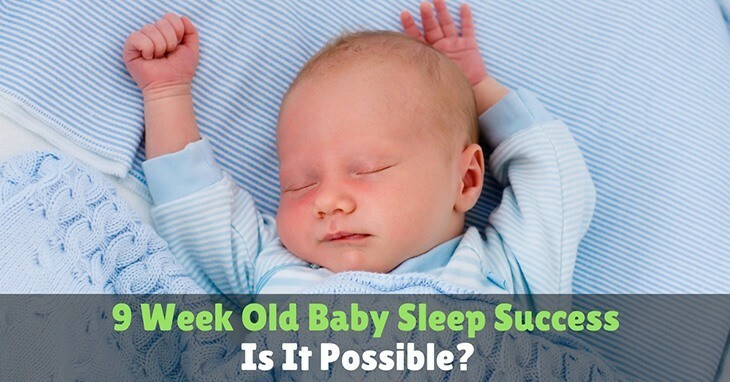 →9 Week Old Baby Sleep Success – Is It Possible? Why Your Baby Isn’t Sleeping? There are a few reasons why your baby isn't able to calm itself enough to fall asleep or stay asleep. One could be because they’re overstimulated or over tired. Unfortunately being too tired doesn’t mean they’ll fall asleep faster and stay asleep longer. It’s actually quite the opposite. It’s important to watch your baby and pick up on the cues as to when they’re getting tired or overstimulated with a toy/environment. Some of these signs could be pushing the toy away, rubbing their eyes, arching their back, or even turning their body away from you or the toy. A growth spurt can be another reason why your baby isn’t able to get settled enough to sleep. Typically growth spurts happen around 4-6 week but that doesn’t mean that timeline happens for every baby. My Little One had a growth spurt around 8 or 9 weeks. During my baby’s growth spurt she was uncomfortable and as you know by now, if your baby isn't comfortable they’re not happy. So getting her to relax and sleep wasn’t an easy task. To help her get through it, I fed her a lot. Nursing is a naturally soothing act for your baby and it provides them with more food and nutrients for their growing body. Another reason your baby isn’t falling asleep could be that they’re going through what is called “The Wonder Weeks”. According to a study, they found that during a baby’s first 20 months of life, they’ll go through 10 different ‘fussy stages’ or sleep regressions. All of them can be set to milestones of development and can even be predicted. Around 8-9 weeks your baby might begin a Wonder Week in which they’re discovering patterns. For example, repeating a certain sound or moving their hand the same way over and over.They’re learning that repetition equals a pattern. This newly discovered action could last through week 10 and can cause a disruption in sleep due to all of the curiosity that comes with learning something new. So how long does a 9 week old baby sleep? Around this time they’ll start regulating their day/night schedule so that there’s more time spent asleep at night rather than during the day. Which means they’ll start sleeping about 5 or more hours at a time at night, and taking about 3 longer naps during the day. When you notice your baby giving you cues (mentioned above) that they’re getting tired you want to reduce the stimulation around them. Lower the sounds of the TV or dim the lights, and remove the toy they’re playing with. Creating a calm environment is a good way to let your baby know that it’s time to relax and get ready for sleep. When getting your baby ready for bed, you want to keep them on a routine. At bedtime, a bath is a good start to your routine because it’ll help relax your baby and prepare them for bed. You can do a feeding, bedtime story or nursery rhyme, then one last diaper change before goodnight kisses. It’ll also help if you keep the lights dimmed, read or sing in a softer tone, and not introduce anything new or exciting to them. Using non-stimulating activities before bed will keep your baby from getting excited and curious before bedtime. If you’re holding your baby when they fall asleep sometimes it’s best to wait until they’re in a deep sleep to lay them in her bed. Some babies are light sleepers so the movement of laying them down could jostle them awake. Some parents think that 9 weeks is a good time to start transitioning baby to a crib. If you choose to start this transition you want to make the whole transition at once. 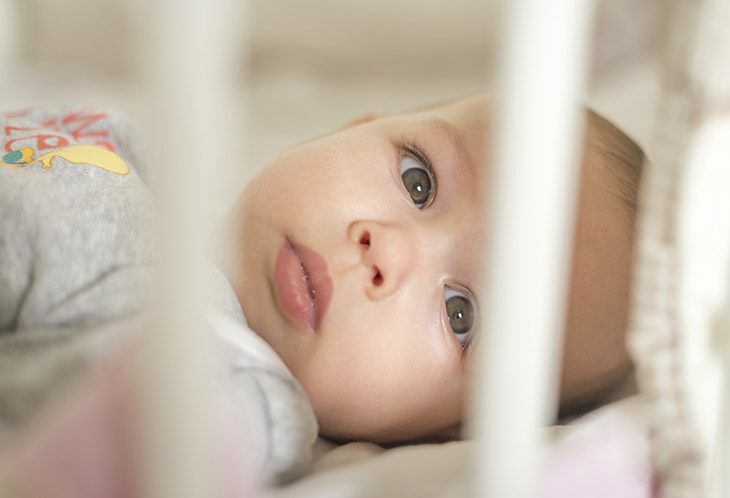 By laying your baby down for a nap in their crib and letting them co-sleep at night can create some confusion and discomfort when going to sleep. Don’t force a sleep schedule if they're not ready for it. This will only cause more stress and anxiety about bedtime for you and them. Give your baby time and helps hem with the transition by introducing routines before sleep so that they can begin to associate bedtime activities. Sleep aids are a miracle! Using items such as white noise machines, playlists of nursery rhymes, even finding an hour long YouTube video of sounds from the ocean can help ease your baby to sleep. I use a box fan and take it everywhere we go! It helps drown out any outside noise that might startle my baby awake and for younger babies it can recreate sounds from the womb. When your baby does wake up in the night, that doesn’t mean that it’s time to play. Keep the lights dim, talk in a low tone, don’t engage with them unless you are making soothingsounds like ‘shushing’. Then once you are done the feeding, lay them back down and let them get back to sleep. Whether your baby is overstimulated, going through a growth spurt, or a Wonder Week, you want to make sure that you’re consistent and starting a routine for sleep. This will help your baby begin to transition into a nighttime routine which will help them sleep more hours throughout the night. 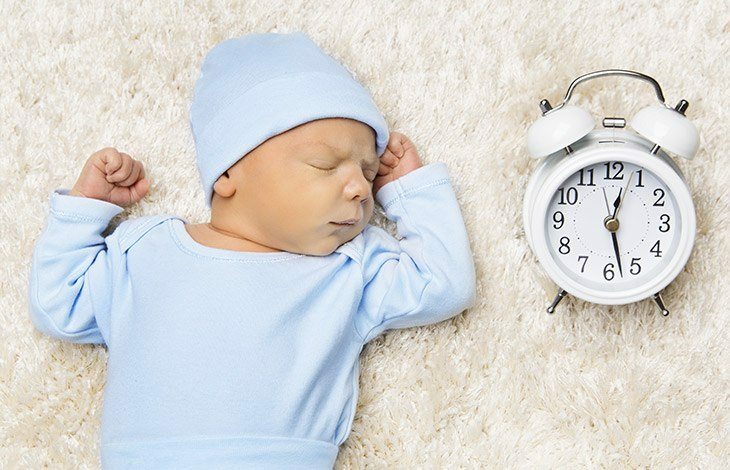 Using the tips that are laid out in this article are some that I found most helpful when getting my 9 week old to sleep. I hope they’re just as useful for you. Have a question about 9 week old baby sleep? Write it in the comments below.